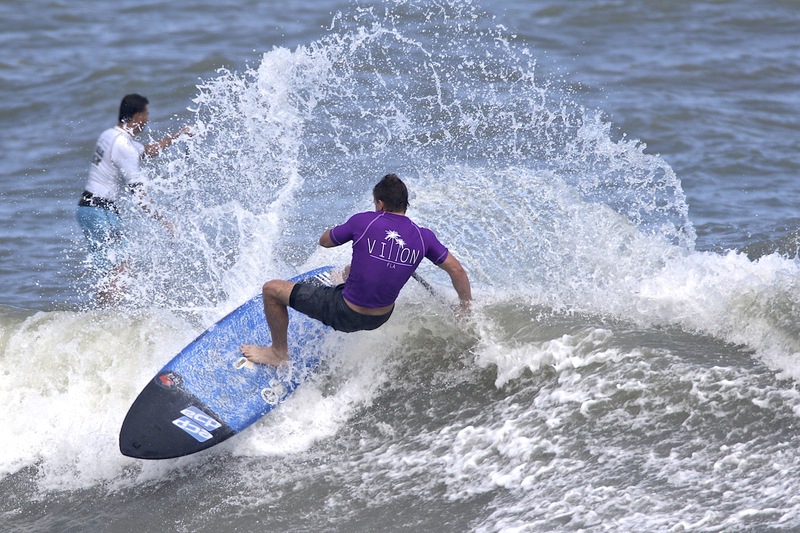 Fun In The Sun At The 4’th Annual Villon Locals Only Contest With Bonus Photo Gallery! | EasternSurf.com | All East Coast. All The Time. 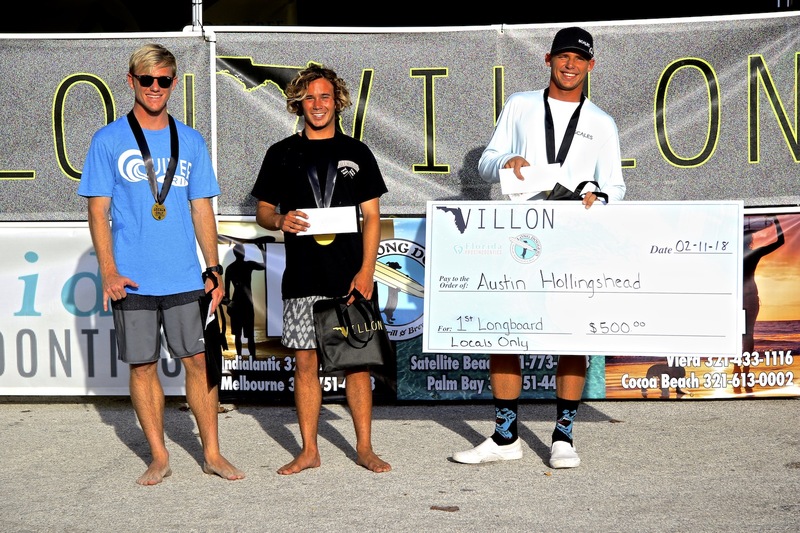 Fun In The Sun At The 4’th Annual Villon Locals Only Contest With Bonus Photo Gallery! Four years ago Mark Quavillon, owner of Villon Clothing decided it was time to give back to the local community and started a yearly event encompassing surfing, skating, and beach runs. 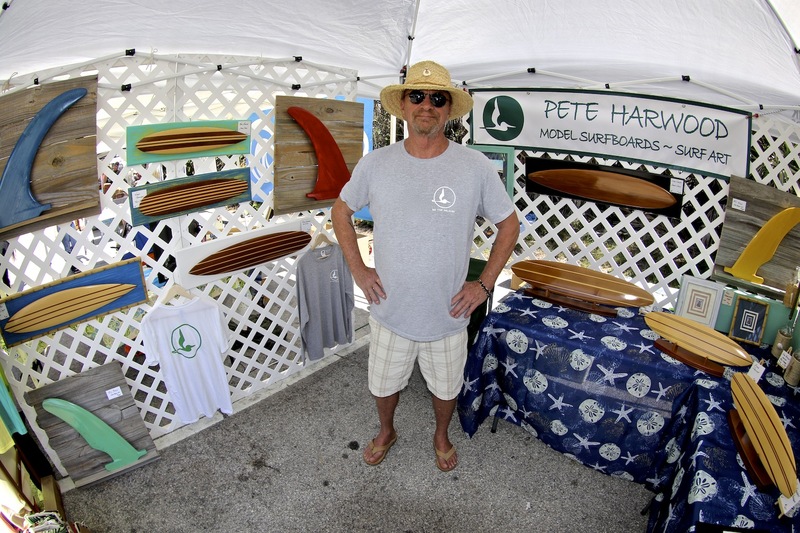 Over the past four years the Locals Only Surf Festival has grown in size and participation. The two day event has been blessed every year with head high waves or bigger and this year was all time. 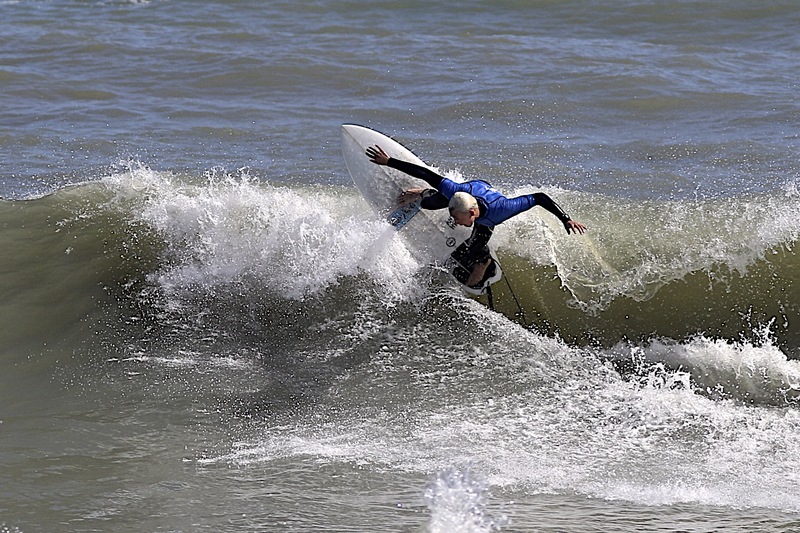 Starting both days around 7:30 in the morning at Pelican Beach Park, Satellite Beach, Florida, the waves and tide along with the wind cooperated and the talent level was higher than ever. Some of the highlights of the event were the Presti sisters Rachel and Audrie taking home first place trophies in their divisions with Rachel winning the Women’s Pro. 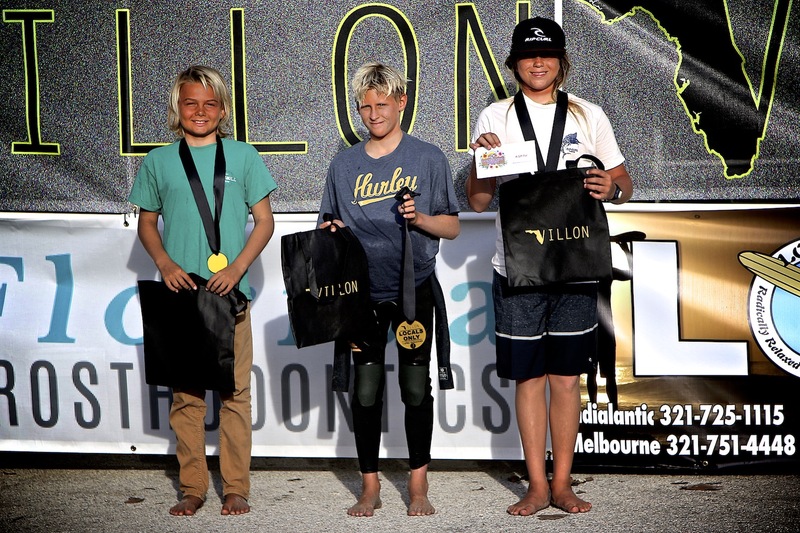 William Hedleston at only 13 years old won every single heat in both divisions he signed up for. Not only victories in the Boys 15 and Under, and the Juniors 18 and under, but he posted a 9.6 & 9.8, the highest scores of the event. 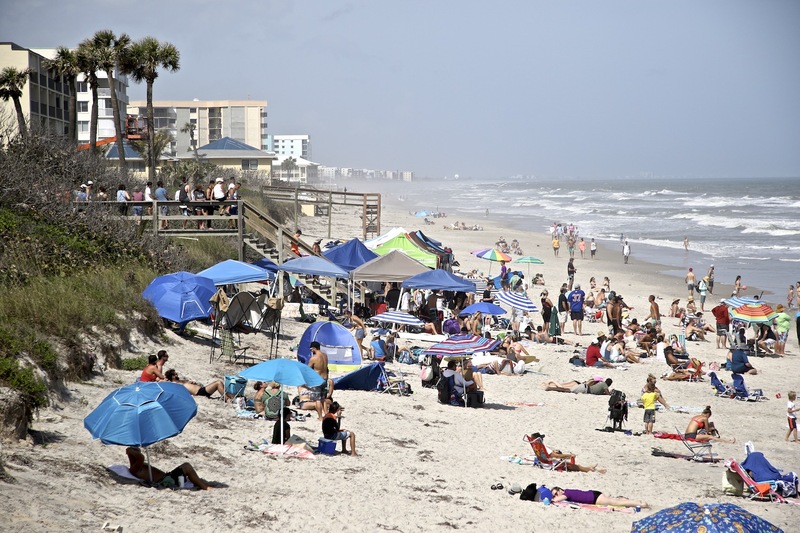 With the waves and weather being good both days hitting around 84 degrees the beach stayed packed with full attention going to what was happening in the water. 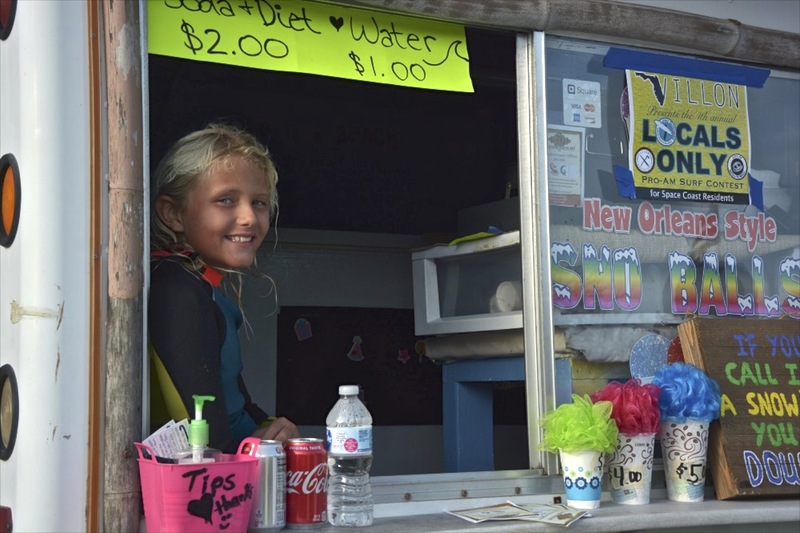 There was a parking lot full of vendors including an array of artisans, assorted crafts and some great food trucks with one of the event sponsors Long Doggers serving up hot dogs and cold beers. The event finished up around 4:00 p.m.on Sunday with most of the spectators staying around to applaud the winners. 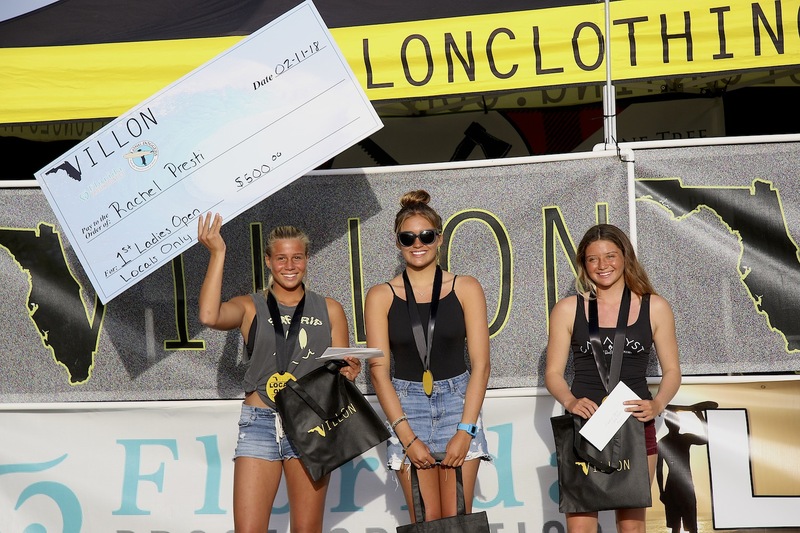 Along with medals, the 1st place winners were given $80 gift certificates from the Longboard Surf Shop in Indialantic. To sweeten the pot even more, checks from Villon were given to the 1st place winners. 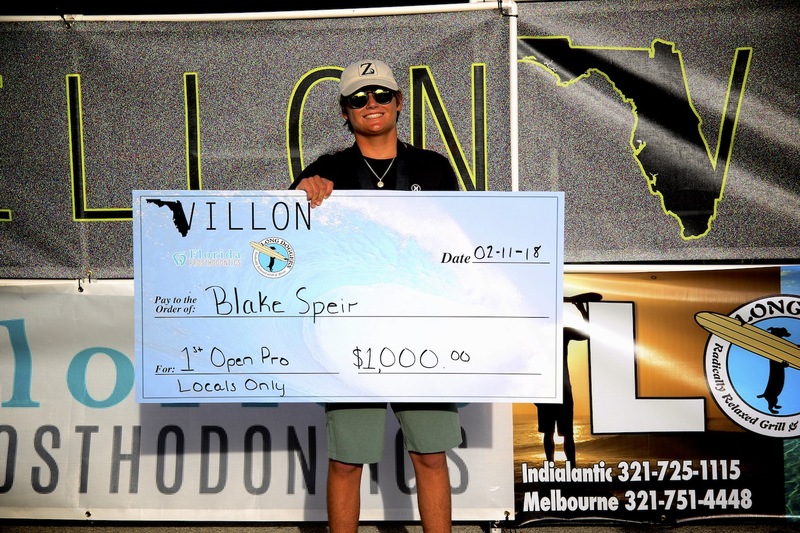 Blake Speir took home a $1,000.00 check for winning the Men’s Pro. In Men’s Longboard, Austin Hollinshead, fresh back from California, took home a first while Maddy Malizia took first in Women’s. Both received $500.00 checks for their efforts. 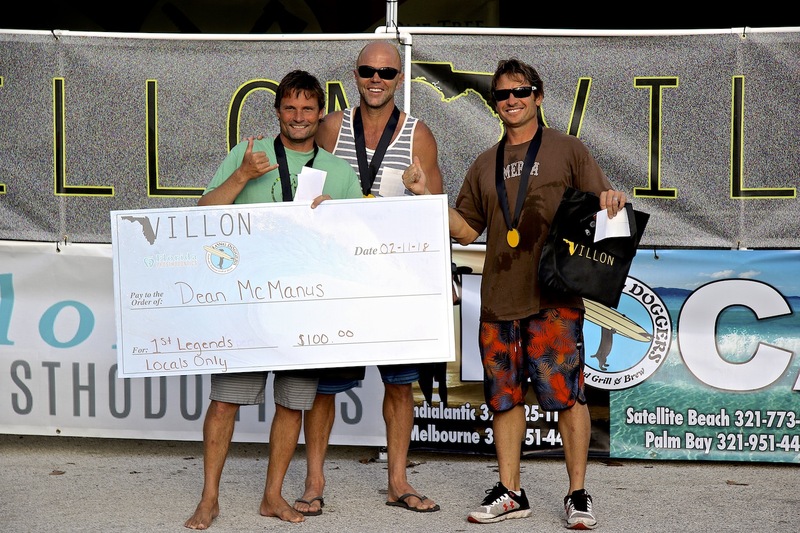 Kieran Grant absolutely ripped his way to a first in the SUP Division and North Carolina staple turned Floridian Dean McManus won Legends. 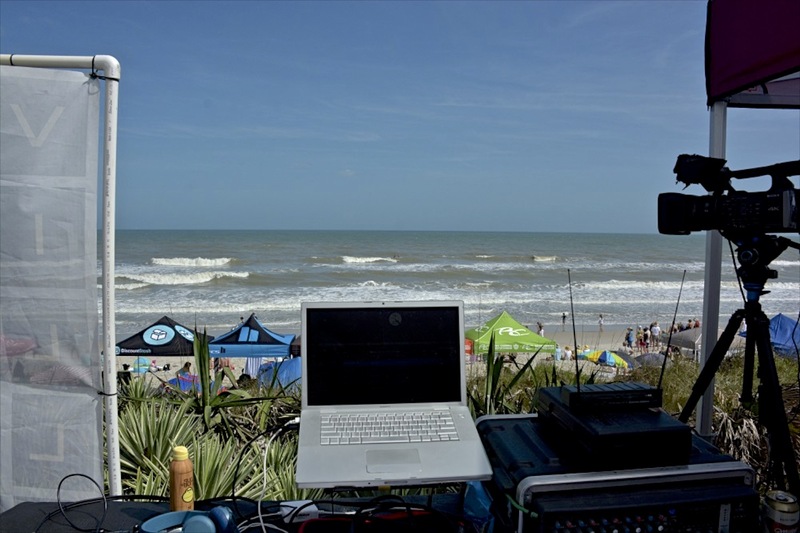 A big thanks goes out to all the sponsors, volunteers, and judges who all made the Locals Only Surf Festival a success for its’ fourth year. We are already looking forward to year number five.